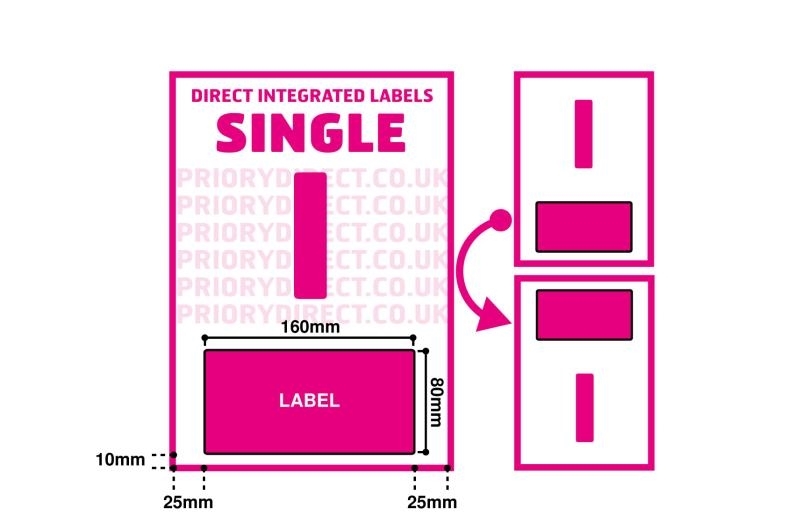 Measuring 160mm x 80mm, Single Integrated Label Style I is one of our largest labels, available in 100 sheet packs. These labels allow you to clearly display a lot of information in an easily readable format alongside your despatch note to help increase efficiency in your despatch process. Produced from high quality 90gsm paper, Single I ensures despatch communications look professional and are popular with sellers using eBay and Amazon.